Arsenal beat BATE Borisov 4-2 in a pretty enjoyable game, with good performances from the youngsters, and signs of the Jack Wilshere of old. Here are the post-game thoughts from James, and if you want to read the report and find links to the goals just click here. Reiss Nelson needs to be played in the front 3. Enough of him being played as a rwb. Debuchy could’ve played there today. 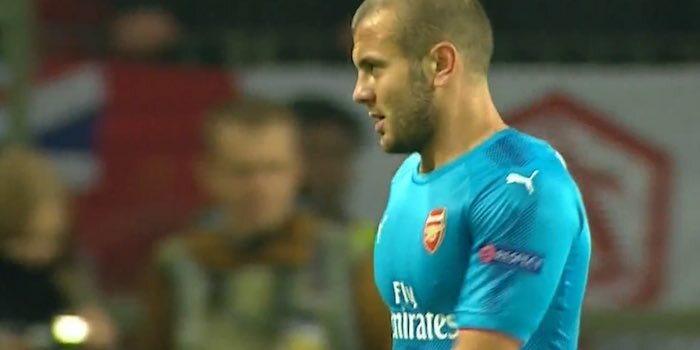 Jack is back, still lacking in fitness. If Jack gets full match fitness, we should consider playing a 4-3-3 with him, Xhaka/Coq and Ramsey with Ozil on the right. 4-3-3 should be our second formation after the 3-4-3. I don’t think Debuchy should ever play for Arsenal again but we’ve horribly mismanaged the full back situation. On the left we ostensibly play two options but Monreal has been a CB since the last couple of months of last season, so only signing Kolasinac and selling Gibbs wasn’t enough. On the right, we’ve had only Bellerin for even longer, considering Debuchy’s & Jenkinson’s collective jig has been up for about a year. It’s a mess. Ostensibly have* two options – no idea what I was thinking there. Why shouldn’t Debuchy play? He’s earning a wage off us, isn’t he? To me, if he’s fit, he should play. A fit Debuchy is definitely a great option to have on the bench. He’s languishing at the reserves while being on high wages. If Bellerin gets injured, we have a major problem on our hands. Thanks, I forgot you are a brilliant football mind and we were waiting for your opinion on what formation Arsenal should play. AW thanks you. I’d never had any doubt that we would master BATE on Thursday. We’d had our Coq out for weeks.